Paul Fizzypop has a post on the MaDonna Summer project here. I like some of the songs but definitely not all. Maybe it's because I like both artists so much individually. A mash up of a Madonna song that I like very much of is below. 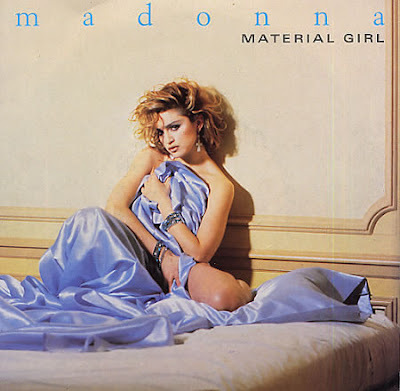 It's a mash up of Material Girl with Fergie's Glamorous. The audio is by DJ Mei-Luwn and the video is by VJ Brewski. I know not everyone will like it but there you go! I have never seen that single cover before. Wow...she cleans up well, doesn't she?